Bill “Speedy” Morris, head basketball coach at St. Joseph’s Prep, will go for the 950th win of his career as the Prep plays Cristo Rey Philadelphia at 1:30 p.m. Saturday, Dec. 20 in the Prep’s Kelly Fieldhouse. Over his career Morris has accumulated many accolades, including most wins by a high school coach in Philadelphia (668). 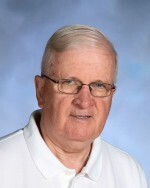 He holds the most wins in the history of St. Joe’s Prep (280) and best winning percentage at the Prep and Roman Catholic, his alma mater where he coached from 1967-81. His eight Catholic League titles rank him at the top of the record books and in 2011 he became the all-time winningest high school coach in Philadelphia Catholic League history.